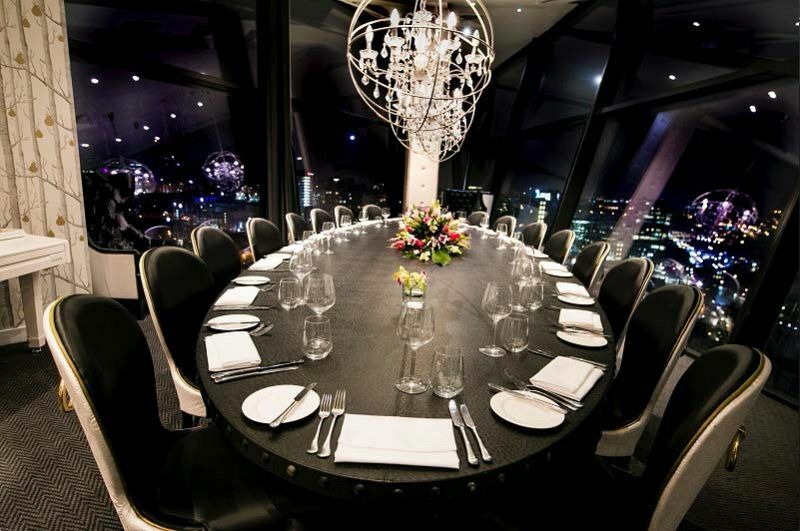 Owned by a top celebrity chef, this outstanding venue that’s situated on the 25th floor of an iconic building in Birmingham’s popular Mailbox District is the only place to indulge in a sumptuous festive feast this Christmas season. Choose from either the festive lunch or the evening dining experience. Offering guests a dining experience unlike any other in the city, where fabulous 360 degree panoramic views await, in addition to a selection of decadent dishes which have been expertly crafted onsite, you can guarantee that you and your team will enjoy a gastronomic experience at the very height of luxury - whatever the weather! On arrival, you’ll be greeted by the restaurant’s friendly and dedicated staff, who will provide everyone with a warm welcome and will direct you to your private table or exclusive area. Admire the chic and stylish interiors, before gazing at the breath-taking views of the skyline. Treat yourself to a sophisticated glass of bubbly or an impressive cocktail from the superbly niche menu, whilst you enjoy catching up with your friends and colleagues away from the workplace. The food served here is simply irresistible, with the dinner menu offering some seriously tempting courses that will be sure to tantalise the palate. You’ll choose three-courses from your selected menu, which contains a fantastic array of mouth-watering meat, fish and vegetarian options that will delight. Dine in an atmospheric setting and enjoy the talents of live musicians every Thursday, Friday and Saturday, which will be sure to add to the already unbelievable ambience. The venue also boasts a rooftop terrace and a champagne bar, in addition to a lavish private dining area, making it the perfect destination for your festive celebration. These sumptuous festive lunches and dinner experiences are available from Friday 23rd December through to Sunday 30th December with prices starting from just £20.83 for lunch per person excluding VAT and £32.50 per person excluding VAT for dinner. 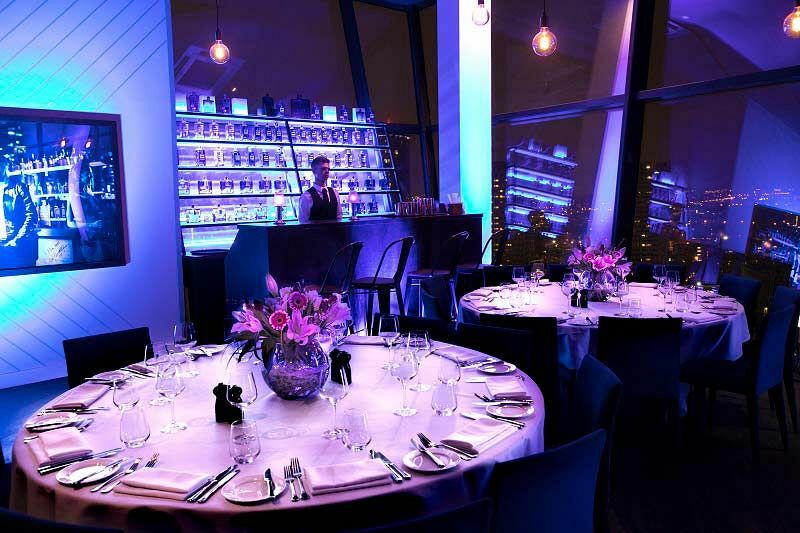 Make this Christmas one to remember with an exclusive dining experience at this fantastic skyline restaurant – book your reservation today to avoid any disappointment! Do you require any of the following to enhance your party?